Most teachers have been using technology in the classroom for a while now. Whether we use it to create, enhance, or expand our teaching, technology is a component of our daily interaction with learners. However using computers, iPads, iPhones, or iPods, tablets, or others to plan or deliver our lessons is just a component of our teaching. Learners in the XXI century need for teachers to purposely integrate technology in the delivery of instruction. 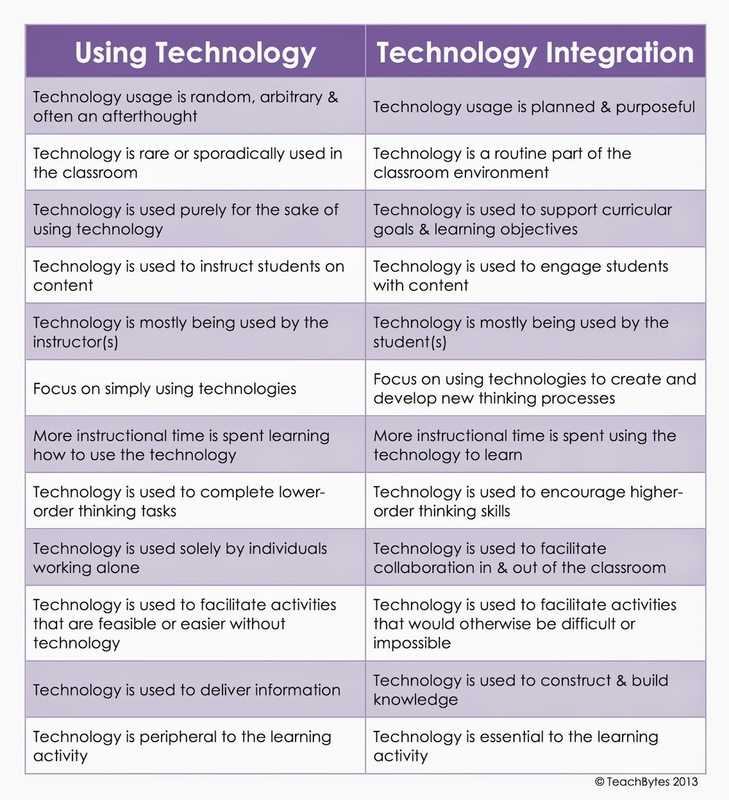 The poster, by Teachbytes, gives a detailed explanation of what it means to use technology vs. integrating technology. Food for thought!